One log-in is enough for most people – it’s certainly enough in schools when your brain is spinning and creaking with a million other things. On the market just now are a growing number of technical solutions that are designed help you and the children sign in only once (or thereabouts) and get access to all your stuff from anywhere. 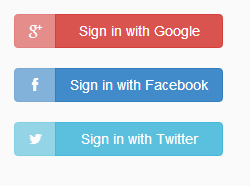 You’ll have seen how with some sites you can log in using your details from Twitter, Google, Facebook. It’s pretty clever and it makes life simpler in the non-school world. Unfortunately it’s less straightforward, or rather there’s more to consider, to enable this sort of authentication in schools. Google has an impressive solution to this mentioned later in this post. On a practical note, having a log in option for younger users via social media is contra to the policies of pretty much all providers. With the dream is always to make life simpler for users (while simultaneously keeping things fully usable, secure & customisable) here’s a whistle-stop tour of some available and proven systems that are here to lower technical friction and free up your brain space for learning. They’re in no particular order other than alphabetical. AirHead caught our eye at BETT 2016 as a very nicely done and deeply integrated web based desktop. Your apps follow you whatever device you’re on and there’s some clever stuff under the hood that allows children and teachers to greatly reduce the number of times they have to log in to different systems. If you want to bring in behaviour, attendance and all that gritty stuff you can do that too with all the big MIS systems listed here. Google has taken simplification to heart and wrapped some of the most powerful web based productivity tools around it you’re likely to see. 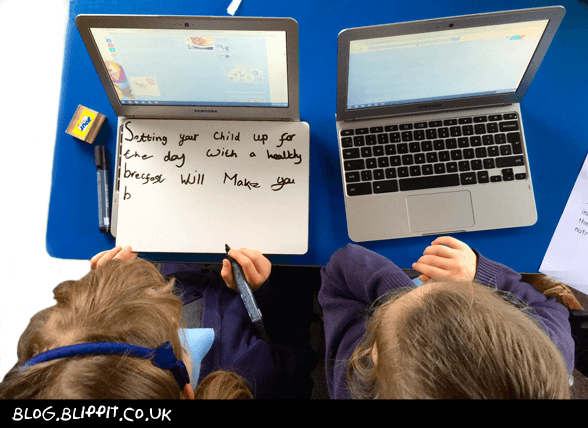 Want children to work/write/draw/survey or whatever together online in real time? This will tick those needs off very nicely and wherever you or your children are working it won’t matter. 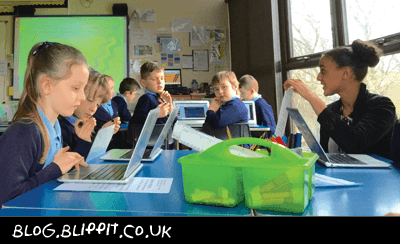 Well worth exploring if you’ve not already done so as us the Chromebook – a technology of which we’re huge fans hence the Chrome Extension we built of Blippit IO. If you like the tech, then one of the smartest fish under the waterline is GroupCall’s IDaaS (Identity Management for Education). It’s a bit like the magic golden thread that ultimately lets you zip seamlessly and share data securely between systems. Purely for education it has to be a good thing. It does more but check them out for more info on their website. Microsoft Azure may be starting to appear on your peripheral vision if you’re not directly involved in tech at school. Your network support experts will be well aware of it. One among the many things Azure does is to integrate lots of tools and services that are commonly used across your organisation such as email, where you keep your files and securely manage single login to multiple systems. Microsoft is operating a more open shop these days and MS non-fans may want to check out what is now being catered for under Azure. Chat to Virtue Technologies in Skelmersdale – they know Azure well. 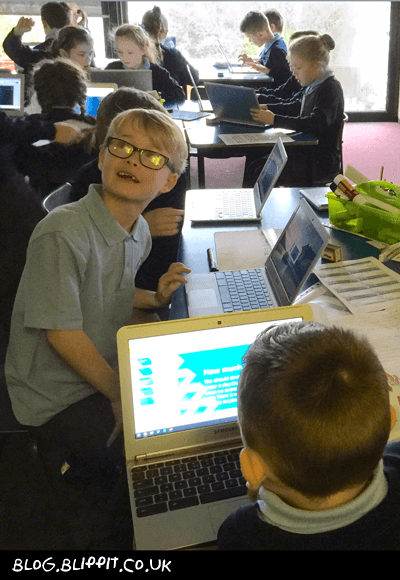 RM Unify is a single sign-on method that curriculum tools such as Blippit allow teachers and children to gain access with. School users log in to RM Unify just once. If user details are updated at school level this is synchronised automatically across all other systems including Blippit if necessary. No more “I’ve forgotten my password!” & plenty of customisation at a local level so schools can point to bought and free stuff at will. It’s also a shop window so if you’re using RM’s MIS you can try, buy and deploy from the browser very easily. 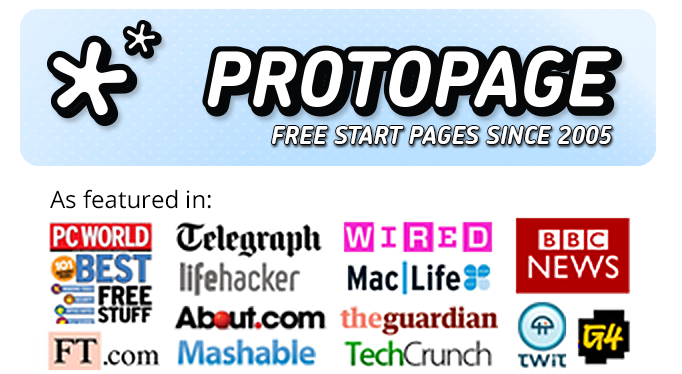 In 2005, yes that’s 11 years ago, I came across and played with a web based information dashboard/desktop product called ProtoPage. It’s not so much for schools but the whole web based customisable desktop ‘thing’ is right there and has been for the last 11 years. Worth a play if only to fix in your mind, should it need fixing, what a powerful thing having web based desktop can be. 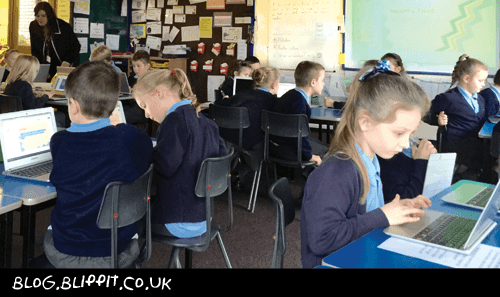 Some Lancashire primary schools affected by the recent disastrous floods are finally getting back to business almost as usual. It’s been a horrendous time with highly stressed families, children (mainstream & specialist schools) and last but not least everyone employed at the schools themselves. To add a little extra stress into the mix, as sub-stations became swamped, power cuts had far reaching effects such as knocking out phone network transmitters. Broadband was no exception going down for many people for many hours. Take away the ability to heat anything, dry anything, at night time to ‘see’ anything, drink fresh water or flush toilets and add the fact that many families were kitted out for Christmas and you’re only part way there. With Nativities rehearsed, costumes made, lines learned, relatives invited, tickets part-sold and in already scarce supply due to school fire regulations (which winds people up every year) you could say it was a perfect storm. Communication is critical in this kind of situation and at times over the last week there were no options open to schools at all. It was grim. 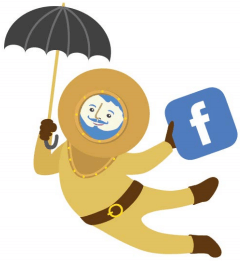 However, in amongst the pockets of communication blackouts, at four of the schools we work with as Blippit Social, the messages that squeezed out from each school’s Facebook presence were amplified and carried along by parents to reach those who needed to know what was or wasn’t happening. [thumbnail target=”_self” alt=”The Bay” src=”http://blog.blippit.co.uk/wp-content/uploads/2015/12/2-DWXCCbWgopZUz9BgI1rZ.png”]A special mention went out to a local radio station called ‘The Bay’ who by all accounts did a pretty amazing job at getting people home, bypassing destroyed routes with timely and accurate information updates. Heads knew that if they asked parents to share updates that originated from the school on Facebook that these updates would carry more authority and hopefully more clarity and this does seem to have been the case. Interestingly, when the school updated that it needed help, to gain clarity on the current status across the area, it was effectively counting on the wisdom of the crowds. Some might have said that Heads should have closed down their schools’ presence on Facebook for fear of virtual looting and vandalism but wisely in my view they chose not to. Together we have learned that the vast majority of parents live up to the bar set for them set by the school. As a model of good practice for how to use social media effectively and reasonably, parents could not be linked to anything better than the school. Less savvy parents most definitely got some fantastic guidance too from their peers – it wasn’t all about the school. …understanding leadership from a distributed perspective means seeing leadership activities as a situated and social process at the intersection of leaders, followers, and the situation. 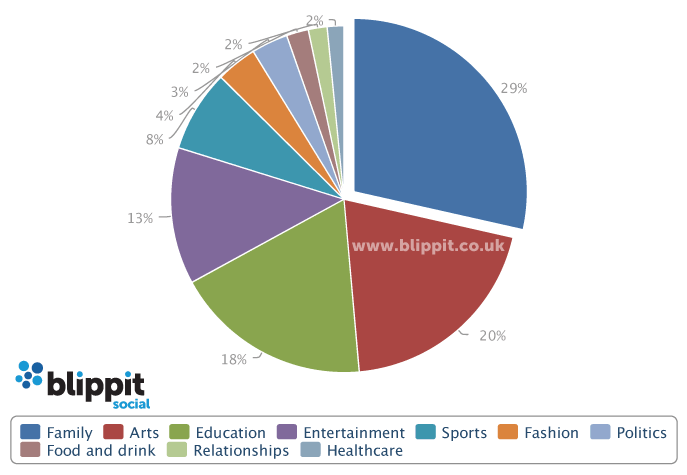 Our data for the last month, aggregated across the four schools on Facebook, puts forward a simple view based on experience and evidence and it’s something like this (though the words aren’t right just yet it must be said). Parent/school social networks can be complementary and highly effective during difficult times thanks to distributed leadership, trust, respect and an increased sense of transparency in the relationships. 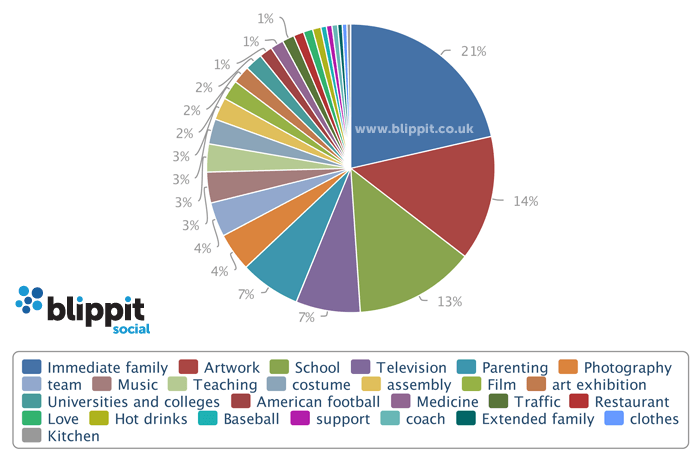 Blippit Social monitors all the schools it supports and can explore the social data pretty much on demand. The following report extracts show data for the month leading up to and including the last 36 hours and as such show an interesting contrast to ‘normal’ business. How did page impressions change? How did the amount of page posts change? How did the population of the communities fluctuate? Did the community see an increase in virtual onlookers? When in the week did people engage? Last night I was handed an article from the latest copy of the SEN Magazine www.senmagazine.co.uk which we read at home with both a professional and personal interest to try to keep up. The article is very short (scanned into this post below) but unusual in this magazine because the piece has an ICT focus and comment from both NAACE Chief Exec Mark Chambers & the British Education Suppliers Association BESA on a critical issue in schools. Typically it’s another flavour of the ‘digital divide’ theme but critically it is absolutely right in saying, I paraphrase, that where technology is least loved & appreciated you’ll find poor infrastructure (cables & clever boxes) and little hope in ICT as an enabler at leadership level & I’d add, almost by default, class teacher level too. 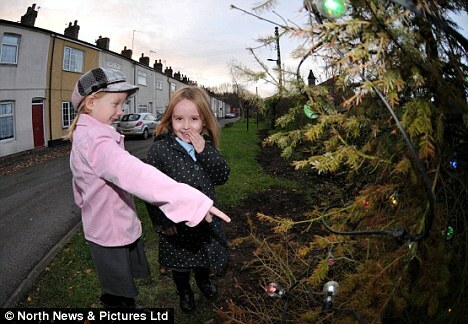 This conjures up a rubbish Christmas tree in my mind. Nice baubles-pity about the tree. The impact of the ‘boring cabley bits’ not being right is far reaching. We know cables & clever boxes are sometimes overlooked for understandable reasons like the fact they’re invisible and parent’s can’t see them like they can see a shiny iPad. Let’s be honest. “School Gets Latest Super Router 1.9” doesn’t exactly get parents’ juices going compared to “1-1 iPads in Year 6”. There have been times when the education ICT Support/solutions industry has been like the wild west. Schools made decisions in good faith and were often guided by wider LA strategy that may have been a compromise for their setting. Where school leadership was more confident they’d go independent with ICT support and sometimes it’d work and sometimes it wouldn’t but either way the responsibility fell to the school to sort it with the service provider. Schools who opted to stay with local authority infrastructure support did/do, I’m told by some Heads, still feel a level of reassurance that no matter what the Authority will always be there to be accountable. If things aren’t ideal in school then it’s because they’re with the Authority *rolleyes*. It’s a challenge to avoid inadvertently slipping into a semi-comfy position of learned helplessness as opposed to grabbing the thing by the baubles when you know deep down that change is needed root & stem. Not being able to speak techie has always been a bug bear for many school leaders. It’s not what they joined up for. The answer to this is to communicate in scenarios. “I want all all our children to be able to easily keep evidence of….” A good provider can interpret, understand and also offer scenarios based on experience that maybe school has not arrived at yet. If they can’t speak so you can understand what they’re offering or bring ideas and innovations based on experience – find someone else who can. TRUST. Some schools have had quite a run of having their trust, shall we say, abused? It’s a horrible word to have in the same sentence as ‘schools’. Trust is something that an official framework can’t magically create. It comes with people doing what they say they’ll do and maybe doing a bit more besides without soliciting a red carpet thank you for doing it. It’s a human thing in my mind and honestly you should get a good feeling from every point of contact with a supplier – not just a ‘front man’. ICT and it’s boring invisible bits are only one part of a large, complex and pressured environment in school. However, done right it could really help everyone shine.